Great room, kitchen and dining room freshly painted! This solid home has space and upgrades needed to feel comfortable in a new home! 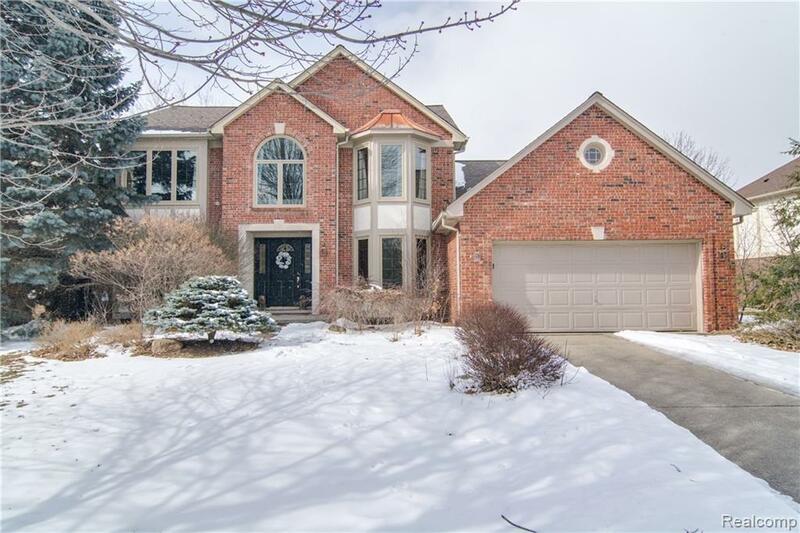 Home sits on a large flat lot in desirable northwest neighborhood of Rochester Hills. Features of the home include newer Pella windows and door wall, newer furnace and roof, hardwood floors t/o foyer, hall, living and dining room, library off the foyer, granite counters in the kitchen, open floor plan from kitchen to great room, cathedral ceilings and gas fireplace in great room, first floor laundry, spacious bedroom sizes, master bath w/separate tub and shower and double sinks in 2nd full bath upstairs. This home has the layout and bones you need and is ready for you for your interior touches! Convenient location close to shopping, freeways, and schools. Schools are top rated Musson Elementary, Van Hoosen Middle School and Adams High School. Home warranty included. Dont wait too long. Seller is motivated!